Emmanuel Macron may be sure of becoming the next President of France, but he is still a long way from being able to implement his plan to transform France from a statist, rigid, and sputtering economy into a Scandinavian-style powerhouse, in which populists return to the margins of political life. 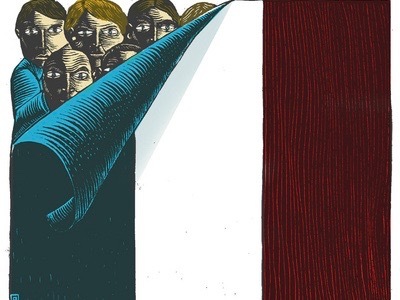 What stands in his way is France’s National Assembly, which is to be elected in June. If a coalition of parties opposed to his En Marche ! movement were to win and appoint a prime minister, Macron would face a period of what we French call cohabitation. Macron would find himself in virtually a titular role, with a hostile prime minister holding most executive powers. To avoid this prospect, Macron’s En Marche! will have to come, literally from nothing, to dominate the parliament. To make sure he gets a comfortable majority in parliament to implement his program, Macron will have to get MPs from other parties, from the center right and center left to join a coalition with En Marche. François Bayrou from the centrist Mouvement démocrate is already supporting Macron. Others from the center right, such as Jean-Louis Borloo or from the center left are also waiting in the wings, as is Manuel Valls, the former socialist Prime Minister. And from the center-right party Les Républicains, Christian Estrosi, President of the Regional Council of Provence-Alpes-Côte d’Azur, Benoist Apparu, and other personalities close to Alain Juppé, have expressed interest in joining Macron’s reform process after the parliamentary elections. If Macron plays his cards well, shows resolve, but also listens and resists the temptation to behave like a new Napoleon, he will successfully replace the old left-right divide in French politics with a reformist/conservative split. In doing so to push his bold reform agenda, Macron will make history and become a beacon of hope for progressives everywhere.